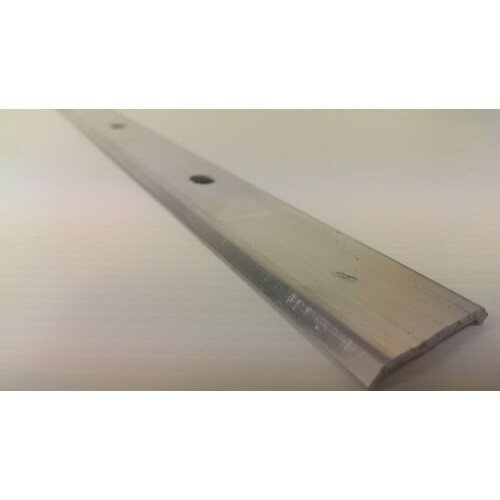 Termination Bar is intended for attaching and sealing flashing terminations as outlined by Firestone Specifications and Details. Substrates must be free from dust, dirt, oil, water and other contaminants. Wall areas above Termination Bar must be waterproof. Install per Firestone Specifications and Details. Install Anchor bar through pre-punched holes at a rate to maintain a seal. Remove excess flashing material from above the Bar.